The evil end happily in this story of double-crossing lovers struggling for power in imperial Rome. In Italian, with projected English translation, accompanied by harpsichord and continuo. Monteverdi’s last and greatest opera was written for the professional opera house in Venice. His score melds nasty people, moral ambiguity and outright comedy with music of surpassing beauty. A very modern story! 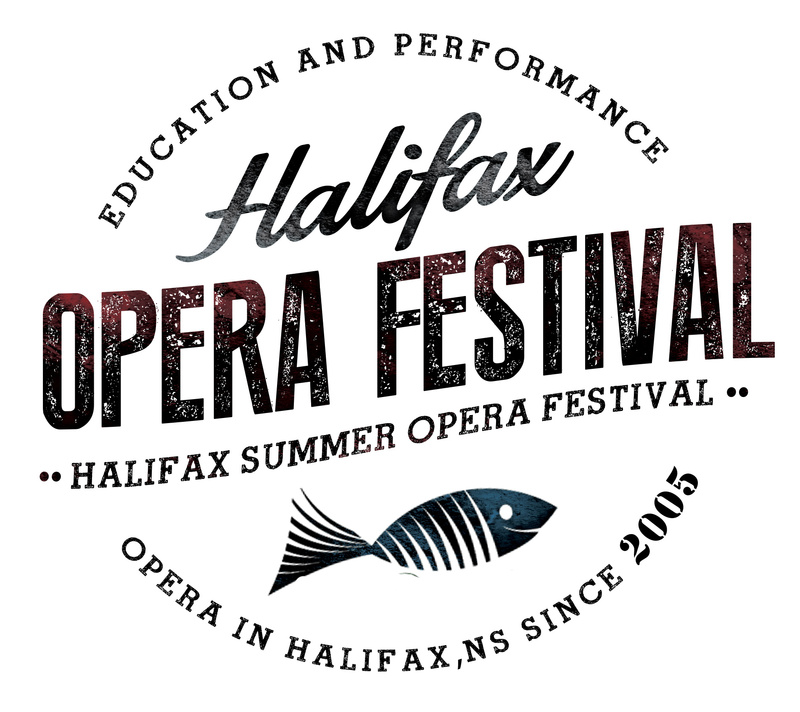 This production is supported by the Early Music Society of Nova Scotia. Tickets for Poppea will be $30 for general admission, $20 for student (aged 13 to university) and $5 for children under 13. Tickets will be available in advance online from TicketHalifax.com, in person at The Coast offices, and by phone with credit card at (902)-422-6278 ex. 500 after May 15. Our box office opens outside the Sir James Dunn Theatre at the Dal Arts Centre from one hour before show time, and any remaining tickets are available to purchase then. At the door we accept cash, cheques and Visa/MasterCard. For more details about buying tickets, see our Ticket Information Page. As ACT ONE begins we meet Ottone, who is returning from a long journey. When he finally arrives home, he finds some of Nero’s soldiers hanging around — and he knows what that means. Nero is inside, romancing Poppea. As the lovers emerge, Poppea makes Nero promise to get rid of his wife, Ottavia, and crown Poppea as empress. Meanwhile, Ottavia knows exactly what Nero is up to. Seneca, an elder statesman, tries to console her. Then, when Nero confirms his intentions to dump his wife and stay with Poppea, the highly moral Seneca objects. Nero angrily dismisses him, and Poppea convinces Nero that they it would be best if Seneca were out of the picture for good. Ottone overhears all this, and appeals to Poppea to give their relationship another chance. She tells him it’s hopeless. What would she want with him, when she can be with the emperor instead? When she leaves, Otho considers murdering her. He also decides that maybe he’d be better off with a woman who really loves him — Drusilla, for example. When he goes to her, she’s suspicious, but eventually welcomes him. Still, Ottone can’t shake his love for Poppea. ACT TWO begins in a Seneca’s garden. At Poppea’s urging, Nero has ordered Seneca’s death, and Seneca has decided to carry out that order himself. One of his servants brings him a knife, and Seneca asks a few friends to witness his suicide. When Nero finds out what Seneca has done he’s ecstatic, and reacts with a highly-charged scene praising Poppea’s sensuous beauty. Despite Nero’s betrayal, Ottavia still hasn’t given up on saving their marriage. And if that’s going to happen, she concludes, Poppea will have to be killed. But Ottavia won’t be doing that herself. Instead, she orders Ottone to commit the crime. He turns to the faithful Drusilla for help, and she lends him her clothes, for a disguise. Poppea, not realizing the danger she’s in, prays to Cupid to ensure her marriage to Nero — which turns out to be a good move. That night, Ottone quietly enters Poppea’s room with his dagger in hand, but Cupid intervenes and prevents the murder. Poppea wakes up just as the disguised Ottone is running away. She mistakes him for Drusilla and, naturally, tells everyone that Drusilla has just tried to kill her. At the start of ACT THREE Drusilla has been arrested, and she decides to accept her fate. She wasn’t the one with the dagger in hand, but as one who was an essential part of the plan, she admits her guilt. But she also goes one step further. In spite of everything, she’s still in love with Ottone. So, when she’s brought before Nero for judgment, she says it really was her that Poppea saw that night — and that Ottone had nothing to do with it. Nero promptly orders her execution. That’s too much for Ottone, who isn’t completely without scruples. He steps forward and confesses, but he decides not to go down alone, and also reveals Ottavia role as instigator of the plot. That gives Nero just the opening he needs — a perfect excuse to get rid of Ottavia. He orders up a boat and has her shipped off into exile. Nero then decides to spare Ottone from a death sentence. Instead, he exiles him, as well. But at least Ottone won’t have to slink off alone — Nero says Ottone can take Drusilla with him. The final scene takes place at Nero’s palace. Nero and Poppea confirm their love, and Poppea is crowned Empress. After the coronation, the opera ends with its best-known music — a quietly passionate duet for the newlyweds.